Investing in cryptocurrency can be scary. With no legal framework to speak of it can seem like the Wild West of investing, and oftentimes that is exactly what it turns out to be. Sure, there are more laws that pertain to cryptocurrency than most people think, but when it comes to things like deposit insurance you tend to be completely on your own. That’s why it’s important to do your research and learn all about preventing crypto hacking. In the last four years the number of crypto wallets has increased more than four fold. Bitcoin theft has also gone up exponentially - in 2013 only $3 million in Bitcoin had been stolen, whereas by 2016 that figure had skyrocketed to $95 million. Just because you know how to buy this technology does not mean you know how to protect it. Cryptocurrency is often stolen the same way as any other form of currency - through phishing, malware, hacks, and Ponzi schemes. Mt. Gox was probably the most famous Bitcoin hack of its time back in 2014, when a Russian hacker stole $473 million worth. In 2016 Bitfinex was hacked and $72 million worth of cryptocurrency was stolen, and in 2018 Coincheck’s hot wallets were exploited and thieves made off with $530 million worth. Knowing the pros and cons of each type of cryptocurrency and the exchanges on which you purchase them is the first step toward securing your fortune. Know whether you are using a hot wallet or cold storage and use air-gapped computers for any transactions or storage. There are many other ways to protect your cryptocurrency - just do the research ahead of time. 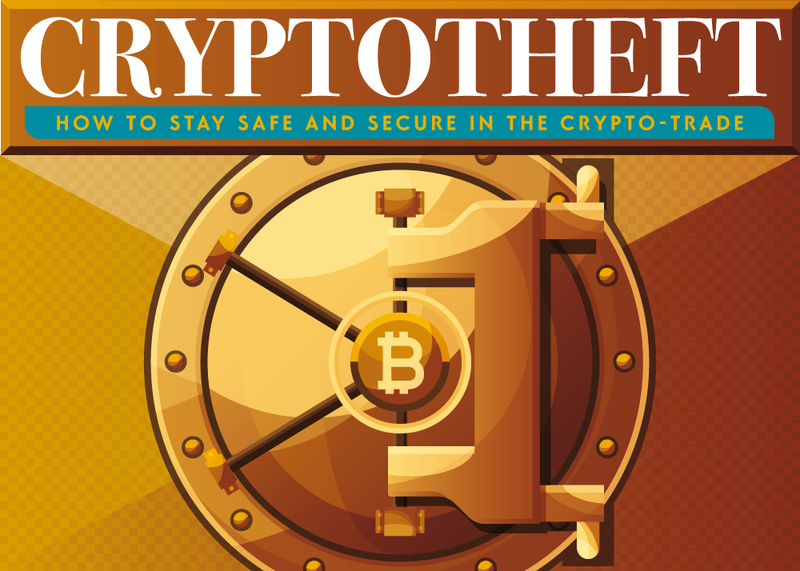 Learn more about preventing crypto hacking from this infographic!